I have been working hard on my office the past couple weeks. I have about a half dozen different projects going on, but my favorite this week is a project using pieces from very different sources. 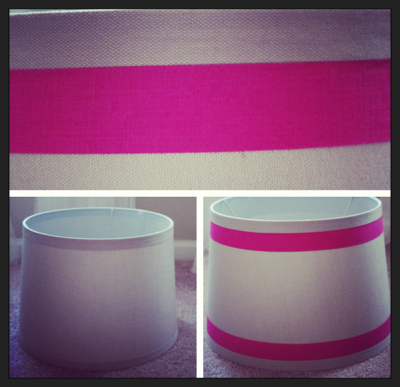 I purchased a linen lampshade from the Better Homes and Gardens collection at Walmart. And then I embellished it with a beautiful deep pink linen tape imported I had imported from Japan from my new Etsy friend, Melanie. I just love the way it turned out! 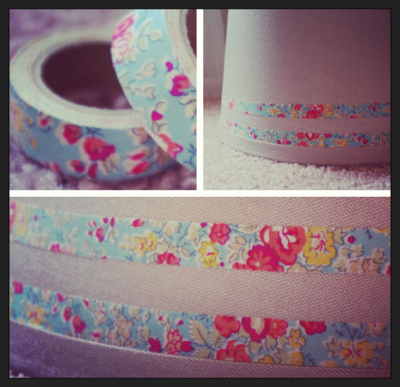 I also orderd some Libety of London fabric tape from Melanie and did a second lampshade. I am hoping in the next week or so to show you what it looks like all put together in my office. If you'd like to visit Melanie's shop, click here. I can highly recommend her! And it is always fun to get a package from Japan.